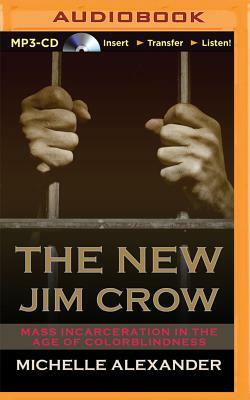 The New Jim Crow: Mass Incarceration in the Age of Colorblindness (MP3 CD) | Let's Play Books! In the era of colorblindness, it is no longer socially permissible to use race, explicitly, as a justification for discrimination, exclusion, and social contempt. Yet, as legal star Michelle Alexander reveals, today it is perfectly legal to discriminate against convicted criminals in nearly all the ways that it was once legal to discriminate against African Americans. Once you're labeled a felon, the old forms of discrimination--employment discrimination, housing discrimination, denial of the right to vote, denial of educational opportunity, denial of food stamps and other public benefits, and exclusion from jury service--are suddenly legal.